About five miles east of downtown Denver sits an office building that is home to Escape Aurora. Locating the complex was not difficult, but finding our way upstairs was the first puzzle of the evening. The building directory does not list Escape Aurora as a tenant and it took us a few minutes to discover a phone number on the outer doors that face the parking lot. A phone call connected us to the owner who we later found out is running the entire business by himself. He is the owner, puzzle designer, gamemaster, customer service rep and, at that moment, host and elevator operator. He is doing a stellar job considering the limitations of the building rules and of his other full-time work. We were underwhelmed when we arrived at the sparse entry area which houses some figurines, post-it reviews and a gamemaster area behind a dark curtain, however a new waiting room replete with brain teasers and puzzles is in the works. 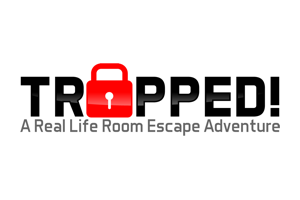 The pre-room falls short of average for the escape room industry, but the room materials and puzzle designs are the main reasons we came. Lunar Escape is a space-themed game set in a very dark room. As we solved more of the rooms mysteries, we were given more light to guide us to the next tasks. The game designer has skillfully massaged the size limitations of an office environment and our group of six found the room to be more than adequate in size with a variety of brain games to keep us occupied. As a whole, we thought the room had a somewhat split personality. The signage, puzzle pieces, mazes and game boards are stellar examples of high quality craftsmanship that bolstered the theme of the room. However many of the furnishings and props were out-of-place for a lunar mission and they prevented us from being immersed in the environment. This dichotomy was felt with the puzzle solutions too. We experienced some incredibly interesting reveals that surprised the whole group, but we also were faced with repetitive combination locks that were awkwardly located and tough to see in the ominous setting. As the game progressed we felt ourselves wavering between excitement and frustration. We ran into a couple issues during our game. 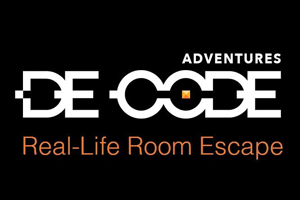 Upon entering Lunar Escape, some of our team saw a reveal that had not been fully reset from the previous game. This prior knowledge did not change our gameplay, but it did give away a fun surprise. We also experienced a hot piece of equipment that should not have been accessible—the warning label was very difficult to see in the dim light. The overall room quality was still above average when taken as a whole. From a player’s perspective, the best review indicator is the overall level of fun. Our group had a great time in Lunar Escape and we unanimously recommend the short trip to Aurora. Don’t expect to be fully immersed in an outer space setting, but you can expect incredible design features, interesting puzzles and fun surprises.